Large rock and stucco on an outdoor fireplace. 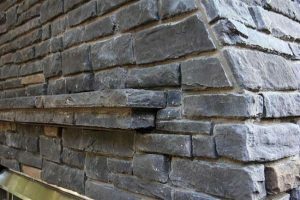 - Curb Design Inc.
Large rock and stucco on an outdoor fireplace. 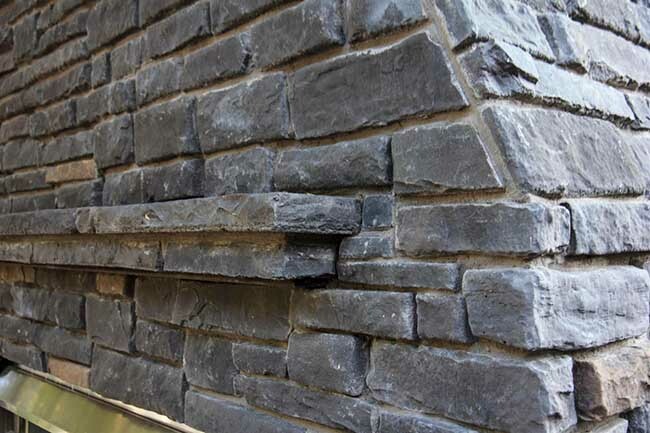 Dark stone used to create this custom outdoor fireplace.